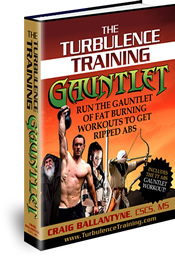 …but ONLY to members of my Turbulence Training Facebook Fanpage (or membership site). If you use Facebook, visit this link to become a fan of TT…and wait for that workout to be out soon. More about this and all of the cool fat loss tips in this week’s coaching call. And now, our fat loss tips. You can do it. I believe in you. Let me know about your success. Rest 1 minute before repeating the circuit 2 more times. **CRASH Set – When you have finished your 3rd round of the squat exercise, drop the weight by 25% and perform one more set of 8 reps.
That’s it. Don’t hate me. Patient Educ Couns. Initial weight loss is the best predictor for success in obesity treatment and sociodemographic liabilities increase risk for drop-out. Elfhag K, Rössner S. Obesity Unit, Karolinska University Hospital Huddinge, Stockholm, Sweden. OBJECTIVE: To figure out what predicts weight loss. METHODS: 247 subjects went through 3 phases…a Pre-Treatment screening visit, a 5-week lecture series, and a longer term weight loss treatment. RESULTS: The strongest factor for predicting weight loss in the Step II treatment was initial Step I weight loss. That means if you lost weight early, you lost more weight over the long-term…meaning you really want to plan ahead with your nutrition and exercise and mindset to get off to an amazing start with your program. BUT…the drop out rate was huge – 63% quit the study. OUCH. Some of those you can change, some you can’t. Don’t focus on the ones you can change, but DO EVERYTHING to change the ones you can. Initial weight loss is the most certain factor for predicting treatment outcome. Therefore, do everything you can to start with the BEST exercise and nutrition program so that you get immediate weight loss because that predicts future success. Do NOT rest between arms (start with weak-side first). Rest 1 minute & repeat 2 more times for a total of 3 sets. Rest 1 minute & repeat 2 more times for a total of 3 supersets. **CRASH Set – When you have finished your 3rd round of these exercises, drop the weight by 25% and perform one more set of 8 reps.
Its up to the individual…just don’t do so much that you can’t recover from – or prepare for – the real workouts in your program. That’s a big mistake folks make, going too hard on off-days and hurting the quality of their real training. The dumbbell alternatives for the Deadlift and Military Press are the DB Squat and DB 1-Arm Press with Palm-In (see photo section of the manual). **CRASH Set – When you have finished your 3rd round of the deadlift, drop the weight by 50% and perform one more set of 8 reps. There is a 4th workout, but we’ll save for next week. If there is junk food in your house, you’re going to eat it. So if you don’t want to eat it, get it out of your house. Otherwise, accept the fact you’re going to eat it eventually. That’s just the way it is, and that’s how good diets go bad. It’s like putting water on a gremlin after midnight. And if family brings it in, then you put it in a place that is extremely difficult for you to access. A high cupboard, out of sight, out of mind. Research shows the harder it is to access, the less you eat. So stop accepting it and make it the next-best-thing-to-not-being-there-at-all. Research shows the harder you make it to access these foods, the less you will eat of them. Opaque containers, stored in high cabinets or the basement, etc. will help you reduce intake. Also, use a food journal, and post what you eat online. A post dinner snack like plain yogurt plus chocolate protein powder plus a couple of peanuts or some melted peanut butter is better than ice cream. 30 minutes activity and then plan, shop, & prepare. Recently I’ve tried some new blender drink experiments…and the cucumber & kale versions didn’t work out…although I’ve been surprised to find that adding flax oil doesn’t mess up the shakes. I also use flax meal and walnuts to get healthy fats…but I try and switch it up often. Finally, I’m always adding berries, and to keep the costs down, I just make sure that my mom picks a LOT in the summer and then freezes them – and then I steal them from her freezer when I visit.